Top universities and business schools around the world turn to MoreSteam's suite of training tools and eLearning modules to equip their students with the skills and capabilities to become sought-after, data-driven problem solvers and leaders in the business world. MoreSteam is proud to partner with these educational institutions and fully support them with technical assistance, marketing materials, and regular product upgrades. MoreSteam has established partnerships with respected consulting organizations across the world. All of our partners have in-depth process improvement experience in a range of industries. They offer an array of professional consulting services including strategy, operational planning, training, coaching, and change management. &ast; The PMI Registered Education Provider logo is a registered mark of the Project Management Institute, Inc. Interested in a Business Partnership? The Kentucky Center for Performance Excellence is an all-volunteer organization comprised of a board of directors, operating committees, examiners, and judges, all dedicated to helping Kentucky companies achieve performance excellence. The Baldrige Excellence Framework guides the center’s mission. Claudius Consulting offers Lean Six Sigma training at Introductory, Champion, Yellow Belt, Green Belt, Black Belt and Master Black Belt (MBB) certification levels. Claudius Consulting has been a leading provider of Lean Six Sigma training and implementation consultancy to the service and manufacturing sectors since 2000 and is accredited and licensed to certify to the British Quality Foundation (BQF) standards. 20.20 is an international company whose main objective is to work together with our Clients in the development of integrated solutions for the delivery of projects, services and organizational and individual development. Assisting them in implementing their strategies and objectives effectively and sustainably. Our consultants have more than 20 years of experience in the most diverse business segments (industry, finance, services, public sector, etc.) and in the most important practices and methodologies (Project Management - PMI / Prince2, Lean Six Sigma, Balanced Scorecard, Change Management, etc.) available in the market. We also offer extensive international experience, working in the largest organizations worldwide, and have strategic partnerships with some of the most important organizations in the industry. We at oConsulting are operations performance experts for achieving lasting results. Our focus is value creation in processes from customer requirements, product design to serial production. If targets are about more output, lower costs and higher quality, we are ready to support your teams in making it happen. Especially in regulated environments we build on our profound knowledge of legal requirements, process control and applied statistics. In our engagements we generate ownership to achieve together and sustainably better processes and improved working spirit. Getting better is hard work. And, it has to be fun! 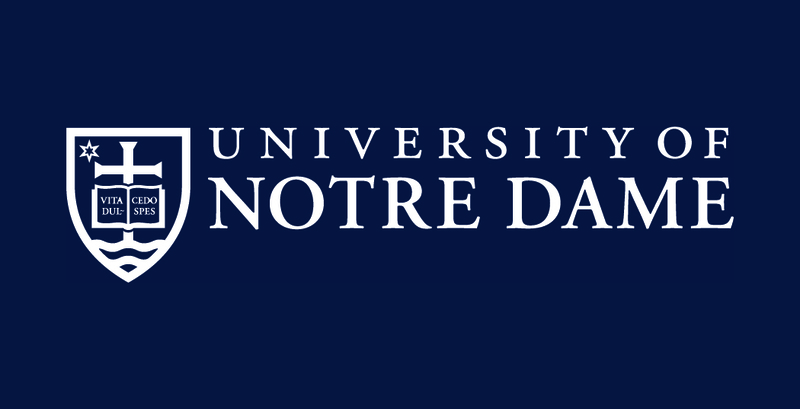 One of America's leading undergraduate teaching institutions, Notre Dame also has been at the forefront in research and scholarship. The aerodynamics of glider flight, the transmission of wireless messages, and the formulae for synthetic rubber were pioneered at the University. Today researchers are achieving breakthroughs in astrophysics, radiation chemistry, environmental sciences, tropical disease transmission, peace studies, cancer, robotics, and nanoelectronics. Notre Dame's Mendoza College of Business fosters academic excellence, professional effectiveness and personal accountability in a context that strives to be faithful to the ideals of community, human development and individual integrity. Founded in 1921, the college develops business leaders who know what it takes to make a lasting impression on an organization—innovative strategic thinking, moral imagination, and a passion for productive collaboration. Mendoza’s 300-student MBA program was ranked 31st in the nation by U.S. News & World Report and 26th by Bloomberg Businessweek. U.S. News ranked Mendoza’s 1,800-student undergraduate program 11th in the nation. GPS delivers rapid results sustained by a long-term business strategy. Our team of 100 subject matter experts has achieved breakthrough results in all areas of the business from manufacturing, distribution and procurement to new product development and process design. From our global locations with multilingual capability, we serve a diverse client base from small cap companies to Fortune 50 corporations in various industries including food and consumer products, automotive, chemical and other industrial sectors, energy, healthcare, government services and private equity. The Society of Chemical Manufacturers & Affiliates (SOCMA) is part of a $300 billion industry that’s fueling the U.S. economy. Its members play an indispensable role in the global chemical supply chain, providing specialty chemicals to companies in markets ranging from aerospace and electronics to pharmaceuticals and agriculture. As the only U.S.-based trade association solely dedicated to the specialty and fine chemical industry, SOCMA is expanding its foundation by developing ChemSectors with a focus on growing key market segments. Founded in 1831 as Alabama’s first public college, The University of Alabama is dedicated to excellence in teaching, research and service. Alabama provides a creative, nurturing campus environment where students can become the best individuals possible, learn from the best and brightest faculty, and make a positive difference in the community, the state and the world. UA offers bachelor’s, master’s and doctoral degrees in 197 degree programs, as well as professional programs including law and rural medicine. Since 1919, UA’s College of Continuing Studies has extended its educational, consultative, and enrichment programs to the broadest possible range of students and organizations. Professional development is offered through workshops, conferences, and professional certificates programs. As the complexities of a global economy continue to deepen, widen and accelerate at the speed of life, more than ever, a company's success depends on management professionals educated in business from a higher perspective. That's why undergraduate, graduate and working professionals pursuing a career in business choose Duquesne University--they know that being the best in the world now means being the best for the world. Founded in 1913, Duquesne University’s Palumbo Donahue School of Business is distinguished by a long-standing reputation for producing ethical leaders, providing innovative curricula, attracting the highest caliber of students and retaining exceptional faculty revered for their scholarly excellence and practical expertise. Smarter Solutions is a world-class Lean Six Sigma training and consulting provider that helps organizations improve their measurement, strategic planning, and improvement systems. Smarter Solutions' approach is founded in the Integrated Enterprise Excellence (IEE) system, a business management improvement system that builds on and expands the capabilities of previous disciplines. Smarter Solutions has a record of excellence in the delivery of Lean Six Sigma training and education in support of worldwide business improvement efforts and deployments. They now offer a Blended Learning model that combines face-to-face instruction with online training that can assist any organization or individual in building Lean Six Sigma Black Belt capacity. CS International is a full-service management consulting firm known in the industry for our ability to implement high-impact improvement initiatives that deliver benchmark results. Our primary goal is to deliver operational improvement engagements with 'stand-alone' capabilities so our clients will not require the presence of consultants to maintain continuity of their programs after our work is done. Our core focus is to meet and exceed customer expectations and thereby optimizing their business performance through the development of internal expertise. We help clients build the necessary skill-sets to deploy initiatives that are fully suited to both their industry and inherent culture. With a cadre of seasoned consultants who have worked throughout the world, we know how to deliver our clients’ unique vision with the depth and clarity they require and demand. From South Carolina’s Lowcountry to its Upstate, the USC system enrolls more than nearly 50,000 students every year across its eight campuses. The university's mission is the education of the state’s residents through teaching, research, creative activity, and community engagement. It is one of only 32 public universities to earn the Carnegie Foundation’s top-tier designations in research activity and community engagement. South Carolina College — the precursor to the University of South Carolina — was founded in 1801, as a part of the Southern public college movement spurred by Thomas Jefferson in the wake of the American Revolution. The institution closed in 1861 and then was revived in 1866 as the University of South Carolina with ambitious plans for a diverse university that included the first African-Americans to serve on the board of trustees (1868) and the first African-American students (1873). In 2001, USC celebrated a legacy of 200 years of educating leaders for the future of South Carolina, the nation and the world. Founded in 1853, Washington University in St. Louis is among the world’s leaders in teaching, research, patient care, and service to society, with enrollment exceeding 15,000 students. On the research front, Washington University is positioned to meet national and global imperatives in energy, environment security, health and economic prosperity. Through innovative research, the university is committed to creating the new knowledge necessary to achieve a bright and sustainable future. Washington University has been named by Princeton Review at one of the 10 best schools for entrepreneurs, while U.S. News & World Report ranked its research medical school and undergraduate programs in the top 10 and top 20 nationwide, respectively, while its business school ranked in the top 25 nationwide. KPMG LLP is a leading provider of audit, tax and advisory services throughout Canada. With passion and purpose, our experienced team of partners and professionals work shoulder-to-shoulder with our clients, integrating our innovative approaches and industry experience to help deliver real results. Founded in 1818, Saint Louis University is one of the nation’s oldest and most prestigious Catholic universities. SLU, which also has a campus in Madrid, Spain, is recognized for world-class academics, life-changing research, compassionate health care, and a strong commitment to faith and service. EMD Consulting is a LATAM, Lean Six Sigma training and consulting provider, located in Perú, that guide companies and individuals through a lean, quality and waste-free path, keeping their operations and processes optimized and sustainable over time. EMD Consulting experience’s team will deliver, employees (blended trainings) and companies (consulting), our expertise to implement strategic solutions and achieve results of excellence. Our mean target is to bring you and your customers a quality experience and total satisfaction; increasing their operational revenue and ensure profitable growth. At PwC, our purpose is to build trust in society and solve important problems. We’re a network of firms in 158 countries with more than 250,000 people who are committed to delivering quality in assurance, advisory and tax services. PwC’s Management Consulting practice connects strategy with execution. We offer our finance, operations, customer and change expertise, both from a functional and technological perspective, to rapidly close the gap between ideas and results. Whether it’s about driving profitable growth, strategically reducing costs, improving operational flexibility, managing risk, improving efficiency or digitisation of your processes, we have what it takes to be your partner of choice. Headquartered in Milwaukee, Wisconsin, USA, ASQ champions people passionate about quality in more than 130 countries. ASQ operates Regional Centers in North Asia, South Asia, Latin America and the Middle East/Africa. ASQ’s global offices provide local access to the quality community, career development, credentials, knowledge, and information services. ASQ also collaborates with a network of World Partners® spanning 24 countries and further extends its global reach through a network of 14 registered service providers that deliver licensed ASQ training and certification exams in a specified territory. The University of Maryland, College Park, is the state's flagship university and one of the nation's preeminent public research universities. A global leader in research, entrepreneurship and innovation, the university is home to more than 38,000 students, 9,000 faculty and staff, and 250 academic programs. Its faculty includes two Nobel laureates, three Pulitzer Prize winners, 60 members of the national academies and scores of Fulbright scholars. The institution has a &dollar;1.9 billion operating budget and secures $560 million annually in external research funding. One of 12 colleges and schools at the University of Maryland in College Park, the Robert H. Smith School of Business is plugged into the business, government, nonprofit and professional networks of the Washington, D.C., metroplex. The school's community of scholars and practitioners is deeply supportive of learning while equipping students to succeed in an often contentious marketplace. Its broad range of programs, certificates and degrees are designed to prepare working professionals to hit the ground running in a world economy that is in flux, with technology and global competition accelerating the pace of change. The ebbing group is a full-service Lean Six Sigma consulting group. The ebbing group works with the client’s teams to improve processes that will result in less waste, better quality, lower costs and higher employee engagement. The ebbing group facilitates improvement/transformation activities by providing training and mentoring to our clients. Training includes robust curriculums for Kaizen Leader, LSS White Belt, Green Belt, and Black Belt training and certification. The ebbing group has partnered with MoreSteam® to provide state of the art Blended Learning. WHU – Otto Beisheim School of Management is an internationally oriented and mainly privately financed business school based in Vallendar and Duesseldorf, Germany. Founded in 1984, WHU is now one of the most renowned German business schools with an exceptional national and international reputation. WHU stands for “Excellence in Management Education” and pursues this goal in its three core areas of activity: academic programs, research, and transfer in the field of general management. This excellent standard has been certified by accreditations from AACSB, EQUIS and FIBAA as well as through leading positions in national and international rankings. In addition, WHU is the only private business school in Germany that is a member of the German Research Association. WHU’s commitment to excellence in research aims at producing high-quality intellectual contributions to both academia and the business world. Its commitment to excellence means maintaining close ties with the business world and staying in intensive contact with a variety of partners in business and society. Founded in 1969, PMI delivers value for more than 2.9 million professionals working in nearly every country in the world through global advocacy, collaboration, education and research. The organization advances careers, improves organizational success, and further matures the profession of project management through its globally recognized standards, certifications, resources, tools, academic research, publications, professional development courses, and networking opportunities. The Southwest Alliance for Excellence (SWE) seeks to empower organizations to pursue performance excellence, improve outcomes, and contribute to the economic strength of their community and state. To do so, SWE: Administers the Performance Excellence Program based on the Malcolm Baldrige Criteria and annually recognizes and showcases outstanding achievement in performance excellence; trains individuals to become experts at assessing and evaluating entire organizations or individual processes using the Baldrige Criteria; and facilitates programs so organizations can share and learn proven best practices to achieve a competitive advantage. The Ohio State University is one of America's largest and most comprehensive academic institutions. More than 68,000 students select programming from 14 colleges, 175 undergraduate majors, and 240 master's, doctoral, and professional degree programs. As Ohio's best and one of the nation's top-20 public universities, Ohio State is further recognized by a top-rated academic medical center and a premier cancer hospital and research center. Programs at Fisher College of Business and College of Engineering are annually ranked as among the best in Ohio, the United States, and the world. Research and Business Partnership Centers, housed at both Fisher and Ohio State, create the intellectual innovations that fuel business growth around the world. Many of the nation's most forward thinking companies turn to Fisher faculty for new ideas and business solutions. Our research centers support teaching, research and development and provide a professional forum for exchange between faculty, students and the corporate community. Learn more about how Ohio State is using MoreSteam’s courses. Blackberry&Cross™ is all about innovation for improvement. We are business solutions designers working with the best partners around the world and creating innovative services customized for Central America: software, e-learning, training, publications and consulting. North Carolina State University began as a land-grant institution grounded in agriculture and engineering and has evolved into a preeminent research enterprise that excels across disciplines. Today, it is a powerhouse in science, technology, engineering and math and houses one of the world’s best colleges of veterinary medicine. The college’s more than 34,000 undergraduate and graduate students learn by doing, pursuing original research and starting new companies. They forge connections with top employers and serve communities local and global. 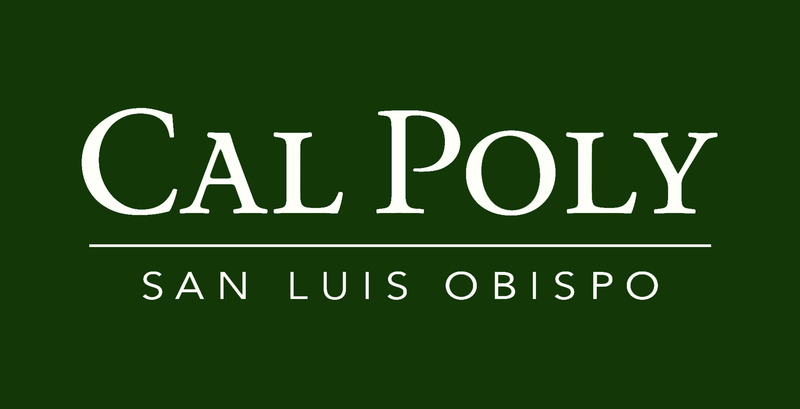 Cal Poly, San Luis Obispo is a nationally ranked, four-year, comprehensive public university located in San Luis Obispo, halfway between San Francisco and Los Angeles on California's Central Coast. It is a distinctive learning community offering academically focused students a hands-on educational experience that prepares them for today's scientific and technical world. Cal Poly's Orfalea College of Business, one of six at the university, works to ensure students' success in a modern global economy with a team of seasoned faculty and staff. Students have hands-on access to advanced technical facilities, exceptional faculty members, and like-minded peers who are preparing themselves to be the next generation of business leaders. Founded in 1829, Rochester Institute of Technology is a privately endowed, coeducational university with nine colleges emphasizing career education and experiential learning. RIT also has international locations in China, Croatia, Dubai, and Kosovo. The RIT student body consists of approximately 15,700 undergraduate and 3,250 graduate students. Students from across the United States and from over 100 countries attend RIT. Nearly 3,500 students from diverse racial and ethnic backgrounds are enrolled on the main campus along with more than 2,700 international students. An additional 2,200 students are enrolled at RIT’s international locations. Air Academy Associates is a recognized leader in delivering client results through various improvement methodologies, including variation reduction, defect reduction, problem solving, robust process/product designs and business growth. With more than 20 years of experience in deploying and implementing process and product improvement methodologies, Air Academy is a key contributor in the creation and evolution of the most successful improvement methodologies available. Their pioneering 'Keep It Simple Statistically' (KISS) approach converts data into information and subsequent knowledge, leading to a true value stream for knowledge creation and process/product optimization. Founded in 1841 and based in New York City, Fordham University is a Jesuit, Catholic university that inspires its students to strive for excellence in everything they do, care for others, and fight for justice — all in the service of sending them into the world equipped with wisdom, experience, morality, critical thinking, and creative problem solving. Fordham has more than 15,000 students in nine schools, including the Gabelli School of Business, where students are prepared to work at the highest levels of business, using their passion and strong sense of purpose to generate not only profit, but also wide-ranging benefits for society.